My name is Mags and I am a Make up addict, you know this (it's probably why you're here) but what you may not know is some products bring out the stalker in me. If I see a product I love - I want it - I need it -I have to have it... and so the search begins. I get a certain look in my eye and although I could carry out many other tasks /have conversations/go to work/act like a normal human, there it is lurking in the back of my brain. I am like the Terminator, I must locate Sarah Connors. That's me, the Make up Terminator. (If I was clever I would insert a funny photoshopped picture of the Terminator with make up - except I am busy trying to appear normal while thinking about make up). Last year Estée Lauder released Pure Color Illuminating Powder Gelee. I was hooked. The product was a liquid powder gel hybrid. What was weird about this is I don't usually pay much attention to highlighter/illuminators and what's more I cant remember the last time that I bought anything from Estée Lauder. Read about the product here (from Musings of a Muse which is the source of the image and a brilliant blog). Alas this part of the story does not end well as I was late on the bandwagon and it was SOLD OUT everywhere, every Estée Lauder counter I encountered, I asked and every counter was out of stock. Finally one day, there it was sitting in Debenhams in the Square (no Tallafornia jokes please). It was beautiful. The colour illuminating, the texture out of this world - this must be the stuff that Gods put on their faces -. there was nobody working the Lauder counter and the other sales assistant did her best to find it but she couldn't. Off I went with the phone number of the counter and a dream still in place, but the phone call was a fail, they were sold out (turns out they just had the tester out to tease me/annoy me/mess with my already fragile sanity). I decided that I should man up and ask what they did with old testers (it was no good to anybody any more) , channelling Chandler from friends repeating to myself "I am a strong confident woman" over and over (I am after all the woman who walked around work with my skirt tucked into my knickers - I need the confidence boost), I asked could I have a sample of the product or the old tester. NOOO was the answer. I had run out of options - the only one left was paying the inflated ebay prices which was not really an option. The story would end here .... but I do hate a sad tale so let's pep this up a little. During a daily read of Beaut (the mothership) they posted on Estée Lauder Pure Colour Topaz for Spring 2012 (read about it here) and there staring back at me was (a albeit darker) Illuminating Powder Gelée - this one (I vowed in a Scarlet O'Hara kinda way) will not get away. Off I marched wandered to the Square and decided to try my luck at the Lauder counter in Boots. The Lauder girl was lovely but had never heard about the product. She did have training coming soon and so I annoyed entertained her by showing her the post by Beaut (how annoying must it be for Sales Assistants to have some "know it all" -me- asking about products that they have not been given details or information about yet). She promised after she had her training or learned of the products arrival she would ring me. I relaxed (a little) as the collection is not due out til February, and then last weekend the Lauder Lady rang to say she had one in stock (warning me it was a darker shade) I thanked her profusely (trying to skirt the line between thankful and weird). It is mine. Wanna See? Lauder's packaging confuses me - one side gold and glam and the other side is plastic. After I swatched the product and applied it, there were no dints or marks in the product.. It looked brand new again. The product was very bronze/orange. Normally I would think I could work with it but January has been kicking my arse. 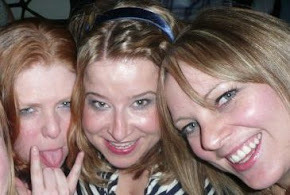 I have been pasty and not just pale - GREY. Since it is a cream/gel/liquid/powder the texture is amazing and smooth. It applied like a dream and blends easily (although I might have been a bit heavy handed in the picture above). While I don't think its perfect for right now - although not too bad- when the summer comes I will be a total ride. This is from Friday night (I was out at the dogs - who says I don't live a glamorous and lavish life) I don't think I look too Oompa but your opinions on my orangeness are welcome and encouraged. Am I happy? Yeah I am I am delighted with myself... although sometimes the Terminator in me still thinks about the one that got away - after all how beautiful would a highlighter go with Topaz Chameleon? I am at the stage of my life where I "should" be looking at "grown up" "intellectual" programmes but I have never really done what "should" be done (ill stop using " " now). One of the programmes on my must see list is Gossip Girl - don't you just love it (by the way if you do love intellectual and serious programmes like Gossip Girl you should check out Hart of Dixie). For a while I had been noseing at the Gossip Girl Special Effects sets that Nails Inc brought out and when ASOS had a discount I snapped up Blair (my favourite character on the programme - hand up if your team Blair and Chuck). In the set you get two polishes Blair which is a deep dark green and Privileged (the special effects topcoat). I applied a coat of Blair and then applied two coats of Privileged - and watch the magic happen. Privileged is what is termed a "Flakie" it looks like glitter but its not. 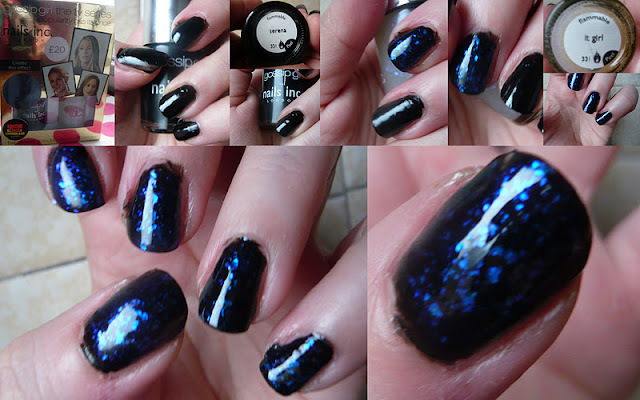 It leaves flakes of changing iridescence that make you stare in wonder at your nails. These sets are no longer available from ASOS but some of the sets are available from Nails Inc check here and where Nails Inc are sold. I Love Benefit - their packaging never fails to make me smile and it helps that the products themselves are for the most part fantastic. During a recent trip to Boots Liffey Valley - The Happiest Place on Earth (I was actually going to the cinema but sure it would be a sin to ignore Boots), I noticed that Benefit had a beautiful retro makeup bag free with any purchase. Benefit also have a new Porefressionally Pretty set which includes The Porefessional, a half size Erase Paste (in no2) and a half size Girl Meets Pearl.... all for €33.50, which is the same price as the Porefessional on its own. I had never tried Porefessional (I had gotten one for my Mam and she loves it) and when I put a sample of it on my hand I was amazed, just a tiny amount my hand felt amazing (I was literally walking around like a weirdo stroking my hand). Erase Paste has long been a favourite of mine, its salmon tones work wonders on dark circles. Girl meets Pearl is a lovely highlighter and even if you don't use highlighter (who can see them in this weather anyway) since you're getting this free you're not going to argue are you. This Benefit girl said the set is available during January (it may be available for longer) so if you're a fan of the Porefessional its a good time to snap one up. January for me is an impatient month, waiting for new collections to come out so this is a great buy if you're feeling like a treat. While I was in Boots I also picked up some half price Philosophy Christmas sets which smell delicious. I am currently smelling of Eggnog (Christmas scent, I know but I don't care- sue me) you can use the wash products as shampoo/shower cream and bubble bath. I was initially sceptical putting a multi product in my hair but my hair looks (and smells) freaking amazing. Eye want candy.....Eye want candy........ sing song over let's get onto the polish shall we? 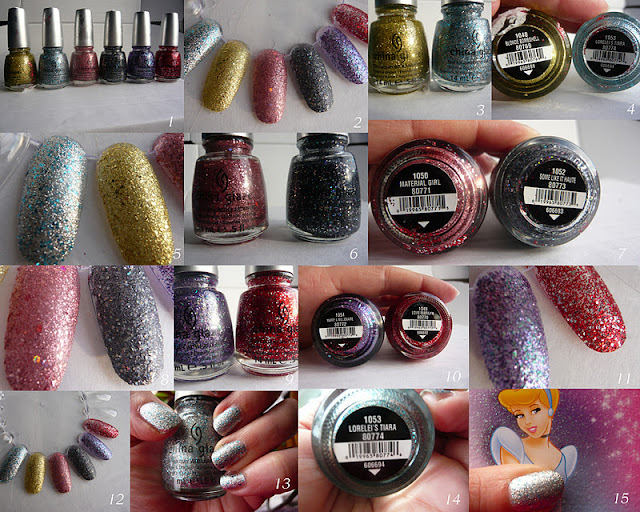 I heard that China Glaze had a collection coming out that was inspired by Marilyn Monroe... a glittery collection. If there are two things that I love in the world it's glitter and Ms. Monroe. I picked these up on eBay (I couldn't wait) before Christmas but I had a little accident with Love Marilyn (the red) which involves a broken bottle of polish and glittery polish all over the carpet in work. 3, 4 & 5 Blonde Bombshell (the gold) has a base of gold glitter mixed with larger gold glitter. Loreleis Tiara (the silver) is a fabulously dense silver glitter with hexagonal blue glitter. 6, 7 & 8 Material Girl - big pink glitters interspersed with pink shimmer. Some Like it Haute - a grey shimmer with hexagonal silver/multicolour glitter. 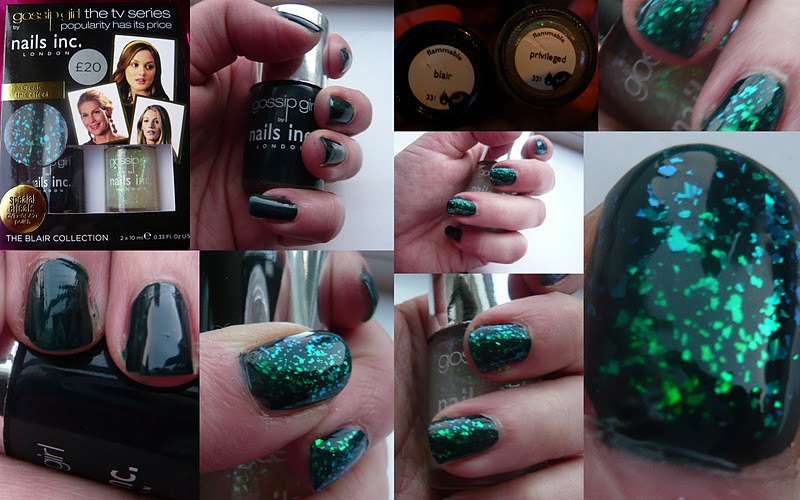 9, 10 & 11 Marry a Millionaire is purple glitter with stripes of teal/silver glitter (brill mix). Love Marilyn is red glitter with big chunky silver glitter. 13. Loreleis Tiara is probably my favourite because it has really opaque coverage after 2 coats and it just looks so pretty, in fact to me it looks like Cinderella's perfect nail polish (15). Have you picked up any of the Eye Candy collection? Run dont walk, then swish your hair. I love big swishy hair - Toss Toss (if you have seen Wicked you will know where I get Toss Toss from). If you have seen the film New Years Eve (I don't care, you can hate on me all you want - I Loved it- it was an emotional roller coaster) you will have seen some pretty impressive hair (and disastrous hair - you Katherine Hiegl). SJP did her usual messy curls but for me Hilary Swank had the most amazing curly waves. 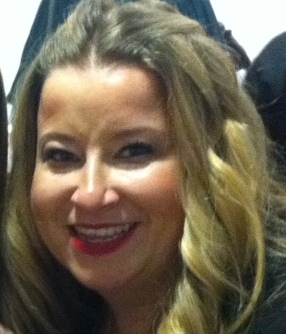 3rd day Serena from Gossip Girl hair - swish swish. So although you have to go to the effort of curling your hair its worth the trouble. 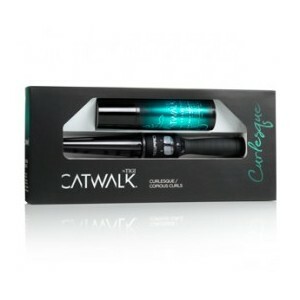 I had seen this curling wand on Cloud10 beauty before Christmas and was going to ask Santa for it - it went out of my head - but I was delighted when I was on the site after Christmas and saw that the wand was reduced (from its already brilliant price of €42.95) to €36.95. This set includes a wand and a curling serum (which also acts as a heat protector). The wand arrived today and I am delighted with it, it heats up so quickly and in an instant I had hair that would make Hilary Swank cut off all her hair and pretend she was a boy. I would have taken a picture but it is so dark that all you would see are red glowing beady eyes (its the light up Santa - I swear -) and a growling noise (from my belly it needs normal food STAT). But I will do a post on how my hair looks when I use the wand. I love curling wands (once you get used to them) because they are quicker to heat and you don't need to leave them on your hair for as long, you also don't have to wind your hair from the bottom so the ends of the hair are saved from intense heat. So what are you waiting for....run... run fast.... go to Cloud 10 click here and get yourself some swishy hair. (Did I mention they have free shipping if you spend over €50 ? they also have some Sleek products reduced).... Go Play.